Disclosure: I received a finished copy of My Italian Bulldozer from Pansing Books, a regional distributor, in exchange for an honest review. This does not affect my opinion of the book or the content of my review. Paul Stuart, a renowned food writer, finds himself at loose ends after his longtime girlfriend leaves him for her personal trainer. To cheer him up, Paul's editor, Gloria, encourages him to finish his latest cookbook on-site in Tuscany, hoping that a change of scenery (plus the occasional truffled pasta and glass of red wine) will offer a cure for both heartache and writer's block. But upon Paul's arrival, things don't quite go as planned. A mishap with his rental-car reservation leaves him stranded, until a newfound friend leads him to an intriguing alternative: a bulldozer. With little choice in the matter, Paul accepts the offer, and as he journeys (well, slowly trundles) into the idyllic hillside town of Montalcino, he discovers that the bulldozer may be the least of the surprises that await him. What follows is a delightful romp through the lush sights and flavors of the Tuscan countryside, as Paul encounters a rich cast of characters, including a young American woman who awakens in him something unexpected. Instead, My Italian Bulldozer was about finding oneself, living in the moment, and welcoming changes. The humour, despite the premise, was secondary. I did appreciate the encounters Paul had on his journey. He met a broad range of people, from a delightful professor to a hardened criminal, and of course the locals of Tuscany. The pace of the book was leisurely, with some unexpected obstacles that made me want to either laugh or cry for Paul. 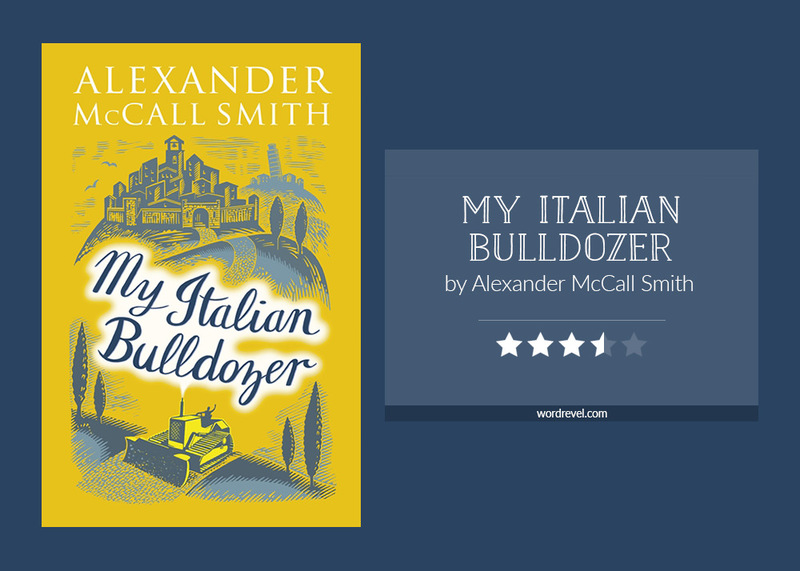 The setting was lovely, with vivid descriptions that almost made me feel like I was atop the bulldozer myself, gazing out into the Italian countryside. My Italian Bulldozer was a fairly short novel. It didn’t however, lack depth. Rather than trying to squeeze Paul’s entire life story into one little book, Smith opted to focus on this very specific time in Paul’s life. I liked this cross-sectional approach — there were no distractions and I could think about events exactly as they unfolded. I think this also makes My Italian Bulldozer a great book to pick up when you don’t have a lot of time or energy to read a denser book.